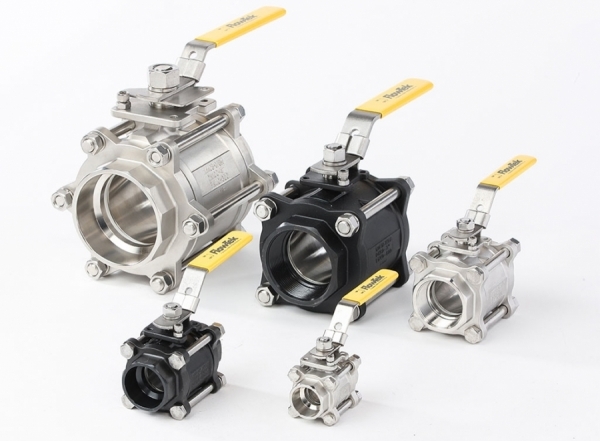 Flow-Tek’s Series 7000 & 8000 ball valves offer the highest flexibility in selection of end connections, seat materials and three piece design. 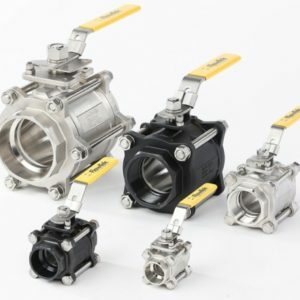 To meet customer demands for a valve with the widest possible range of applications, these valves can be fitted with control or tri-ported balls (for full cavity drainage), as well as cavity fillers for special service requirements. The Series 7000/8000 is designed with extensive interchangeability of balls, stems, stem packing, handles and mounting hard- ware between valve sizes and series members. This system reduces parts inventory and maintenance costs. The three piece body design allows the body to swing-out for ease of in-line maintenance. It also makes it possible to offer a wide variety of end connections.